A record number of people are dying of asthma, and experts have warned growing air pollution and a lack of basic care could be to blame,Guardian reports. In England and Wales 1,320 people died of asthma last year, a sharp rise of more than 25% over a decade, according to data from the Office for National Statistics. The findings come amid growing concern about the air pollution crisis in the UK and mounting evidence of its impact on people’s health – particularly children and the elderly. Earlier this month a medical expert said the hospital admissions of a nine-year-old girl who died during an asthma attack showed a “striking association” with spikes in illegal levels of air pollution around her home in London. Last week an A&E doctor wrote in the Guardian about how her ward in London was overwhelmed by terrified children struggling to breathe because of dangerous levels of pollution. A separate report revealed that illegal levels of air pollution were driving up hospital admissions and GP visits. Today’s findings from the ONS showed that 1,320 people died in 2017 compared with 1,237 in 2016 and 1,033 in 2007. There has been an increase of 43% in asthma deaths in those aged 55-64 since 2016. Kay Boycott, the chief executive of Asthma UK, described the surge as shocking. “This is devastating for the families who have lost a loved one and highlights the urgent need to improve basic care for people with asthma,” she said. 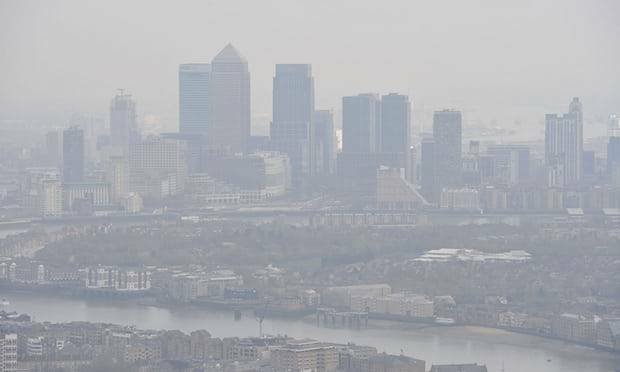 Sonia Munde, head of helpline and nurse manager at Asthma UK, said a top trigger for asthma attacks was pollution. “On days where pollution levels are high, it can leave people with asthma struggling for breath, increasing their risk of a life-threatening asthma attack,” she said. Munde added that people who have asthma triggered by pollution should make sure they take their preventer inhaler as prescribed as this will help reduce inflammation in their airways, making them less likely to react to asthma triggers. ONS data showed that 17 children aged 14 and under died from an asthma attack in 2017, up from 13 in 2016. Overall air pollution has been linked to an estimated 40,000 premature deaths in the UK and labelled a public health emergency by the World Health Organization. It is known to be a major risk factor for childhood asthma. The UK government has lost three times in the high court for failing to deal effectively with the crisis and is now being taken to Europe’s highest court. Earlier this year MPs from four select committees said serious concernsremained over the government’s commitment to reducing the impact of air pollution on public health. Boycott said that alongside rising levels of toxic air, asthma deaths could be also be linked to inadequate basic care for an estimated 3.5 million people.